1. 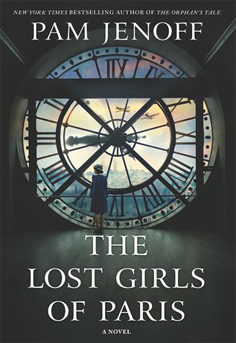 The title, The Lost Girls of Paris, refers to twelve female intelligence agents who disappeared while on their missions overseas. But the title has greater significance as well. In what ways are the three lead characters—Grace, Marie, and Eleanor—lost, and how are they ultimately found? 2. The women in the novel defied common conventions about gender during the 1940s. How do you think the characters’ experiences might have been different if they lived in today’s world? In what ways might their experiences be similar? 3. Grace, Marie, and Eleanor have very different backgrounds and come from very different worlds. 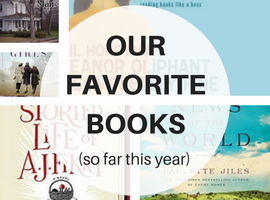 But what are some commonalities between them and their stories? Which of the three women did you relate to most closely and why? 4. Bravery and sacrifice are important themes throughout the book. In what ways did you see these themes playing out in each of the storylines? 5. Why do you think the mystery of the suitcase and its contents resonated so powerfully with Grace? If you found a mysterious suitcase abandoned in a train station, like Grace does, what would you do? 6. War makes ordinary people do extraordinary things – whether it’s going to great lengths to survive, or sacrificing one’s own life to save others. What impacts does the war have on the characters in the book? How might the characters’ lives unfolded differently had the war not happened? 7. Each of the women in the book are put in a position of having to make a choice. 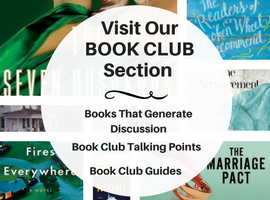 Were there things you wished the women had done differently throughout the book or did you agree with their decisions?